Welcome to Corey! She's one of the new Blockheads this time around. It's great to have some new (dare we say "young") blood infused in this second series of blocks. 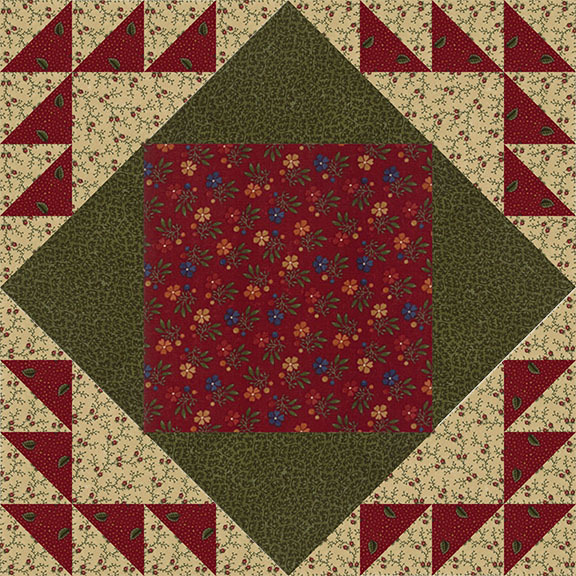 Her Patchwork Flower at 6" x 18" is a fun addition to the assorted sizes of the other blocks. I chose to do just one version this week. It's a red/navy flower and will go with either my red/tan/navy or KT classic quilt plan. Made it, loved it, why make it difficult? 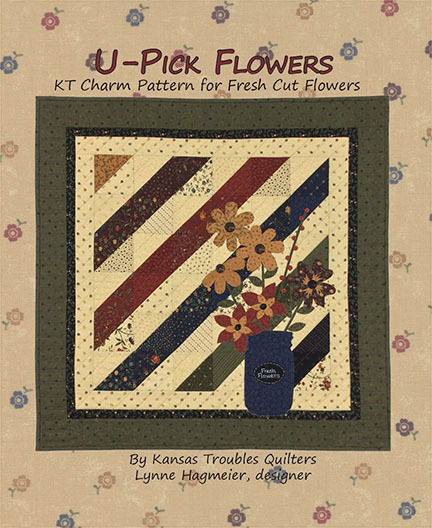 Find Corey's pattern for Patchwork Flower HERE. Have a wonderful Labor Day weekend! 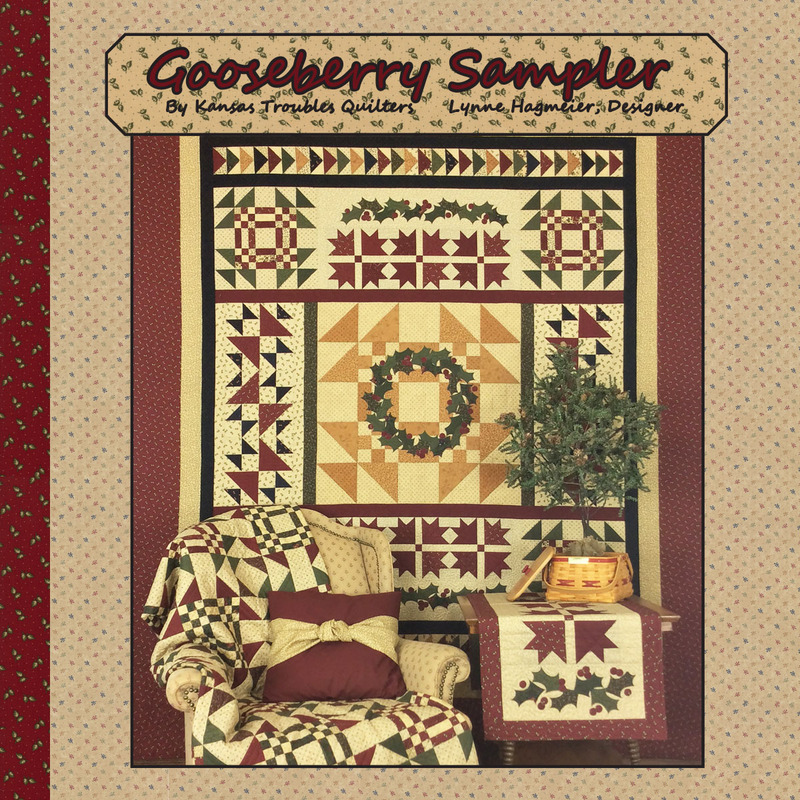 Country Road Flannel is Here! Robert & Joy couldn't be happier, up to their elbows in bolts of flannels, cutting and shipping kits as fast as they can. 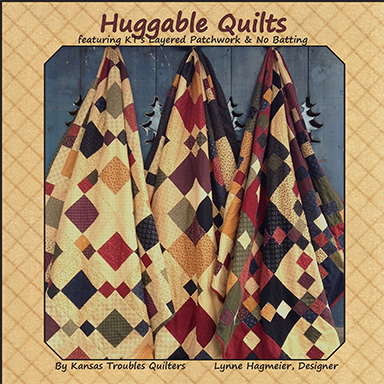 Don't miss out on your next flannel project! Be sure to check out our August Special HERE where all the Flannel Days, Starry Nights quilt kits are on sale and include the booklet AND free shipping! Congratulations to Gmama Jane! 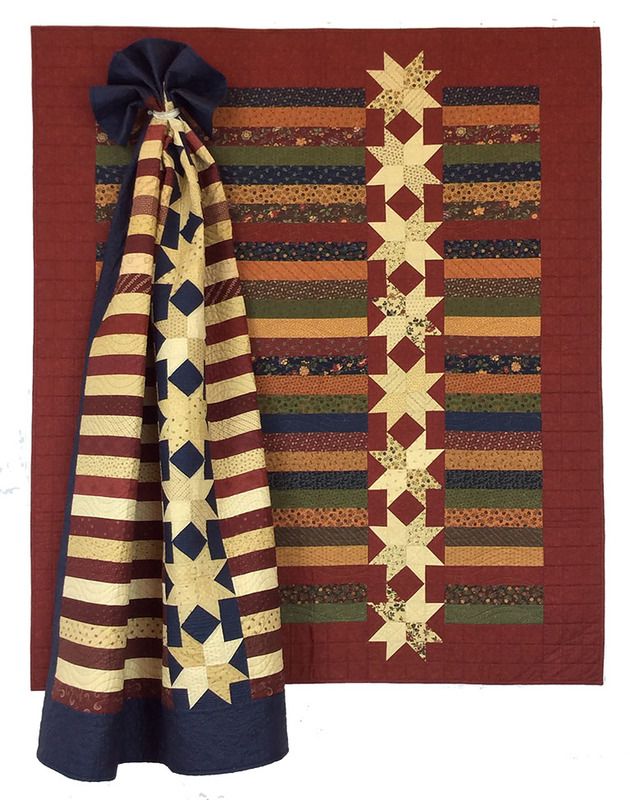 You're the winner of this week's KT giveaway - our new Flannel Days, Starry Nights booklet plus a box of Country Road flannels. 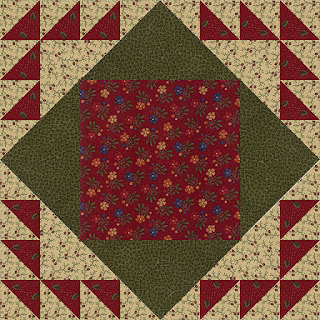 Gmama Jane -Your color combos are always a favorite with me & my family. It's hard to choose but I think I'll choose the blue & tan combo however I'm not choosy if I were to happen to be the lucky WINNER!! 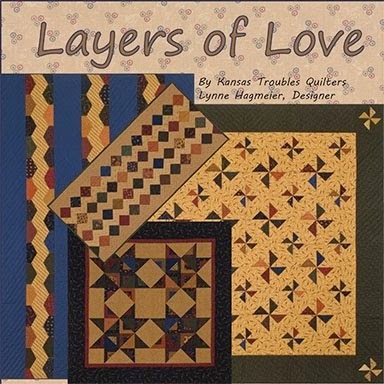 THANK YOU for the inspiration, the quilt patterns and giveaway!! 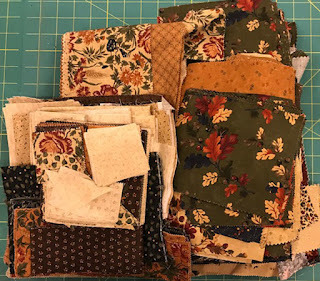 I'm STILL sorting thru all the fabrics from the past year's projects - and some from even earlier. 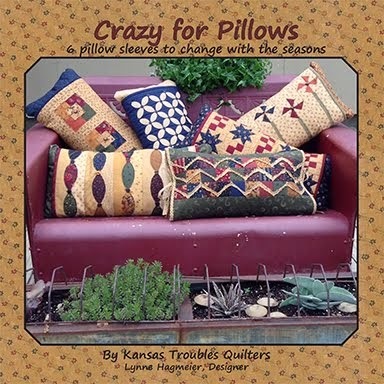 PLEASE help me out by commenting below so I know all the leftovers will go to a good home :). 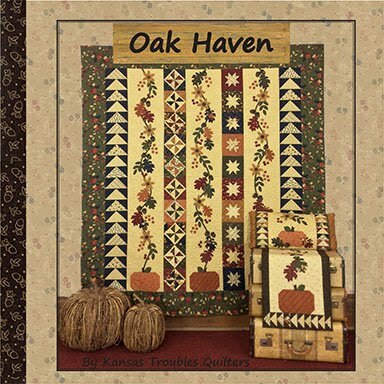 First up, assorted fall fabrics scraps from Oak Haven and Harvest Hill. Need some bits and pieces to add to a scrappy quilt? I know just the place for some scrappy inspiration - Oh Scrap! by Lissa Alexander. Lissa is the brains behind many of the wonderful things happening at Moda. 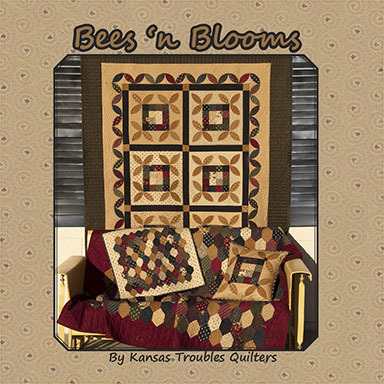 It's her first book with Martingale and it's a sure fire winner! I have several projects marked for my next quilting retreat. Now I better start planning my getaway. 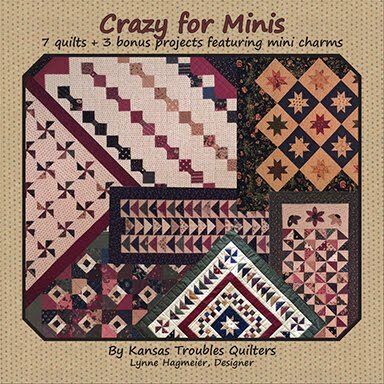 Anyone know of a great place to retreat and sew? 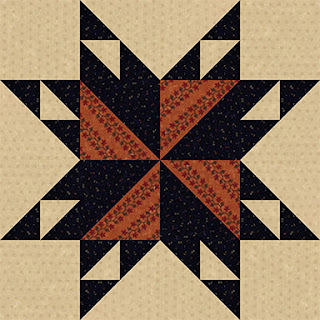 Lisa has challenged us again with her delightful star named for her grandson. She's a fun grandma, I'm sure. Living by a lake offers many opportunities to be a star in Jace's eyes. ...and classic KT. I merely swapped out the red for pumpkin for a fall look. 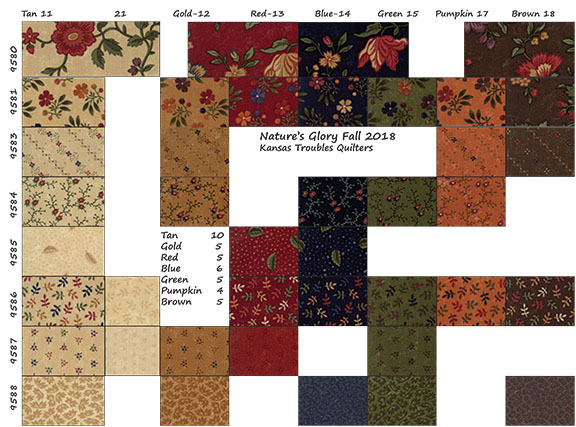 Many of the fabrics I'm using in the Blockheads II blocks are from a new KT fabric collection coming in September, Nature's Glory. 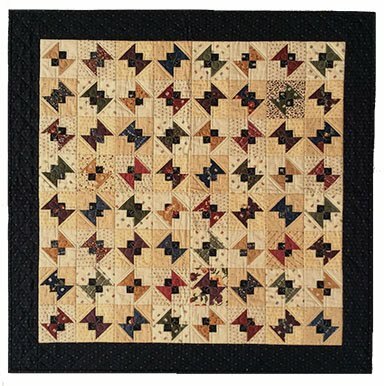 Print the swatch chart below as a handy reference guide when shopping at your favorite quilt shop. 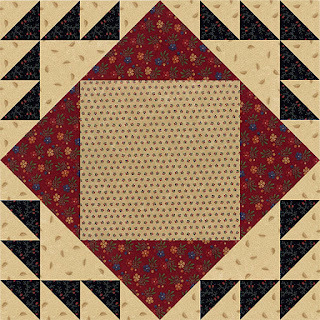 See you next week for a block from one of our "new" Blockheads! 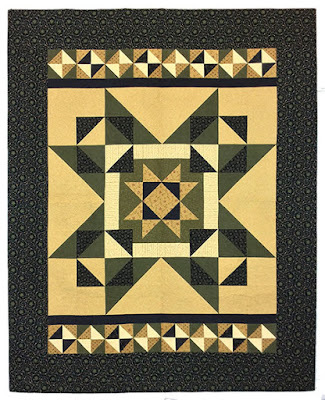 Sherri's headed in the right direction with this simple block of framed flying geese. There are a dozen ways to colorize her block to suit your style - or mood. 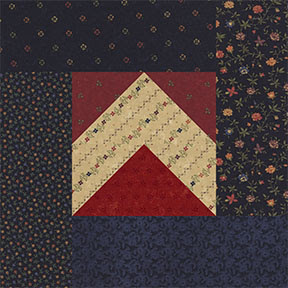 I made one block in KT red/tan/navy (mostly Fresh Cut Flowers fabrics) and another in KT classics in my new Nature's Glory collection, coming next month to a quilt shop near you. 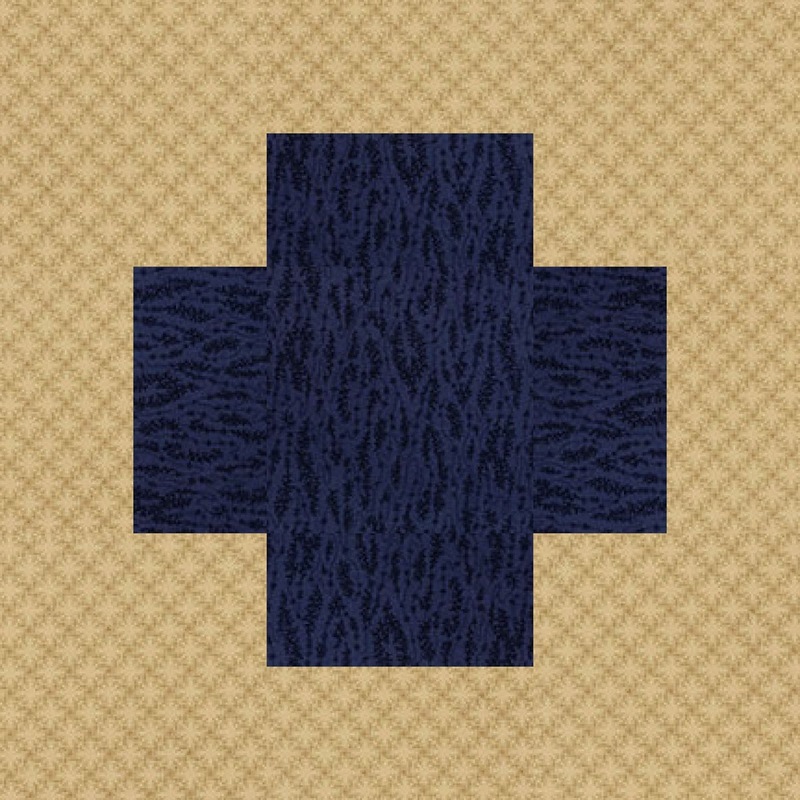 Find Sherri's block, Direction, HERE. 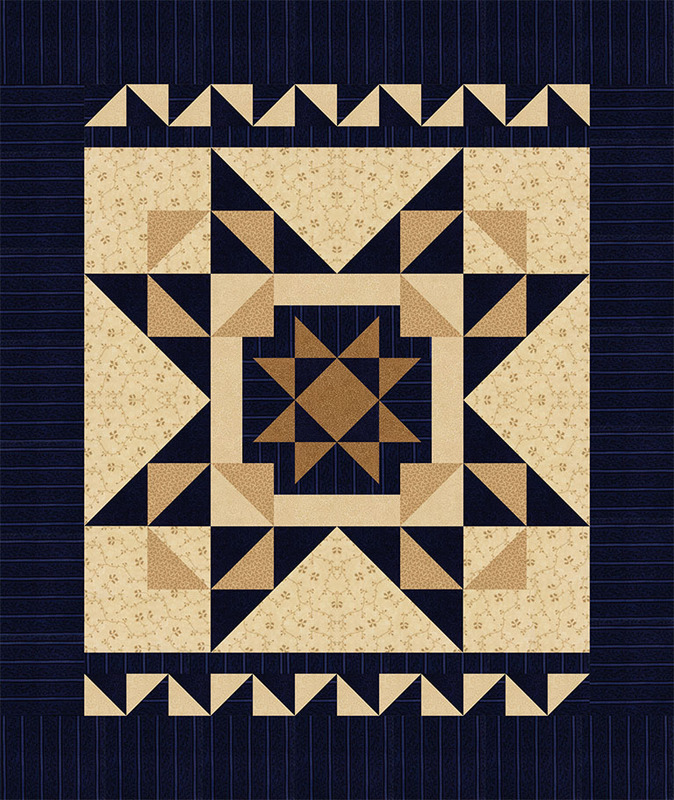 Be sure to visit the other Blockheads II designers this week. They're sure to have a lot of inspiration for you! 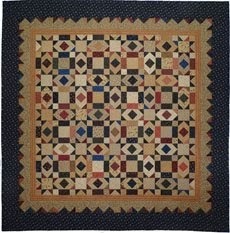 Here's a block from one of the original Blockheads. 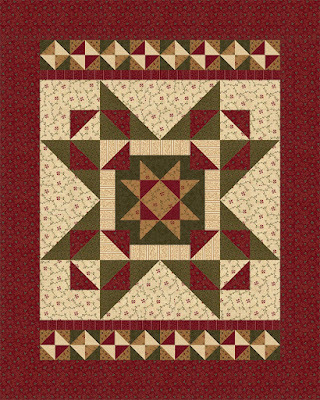 Jo's block is a fun mix of triangles in a variety of sizes. 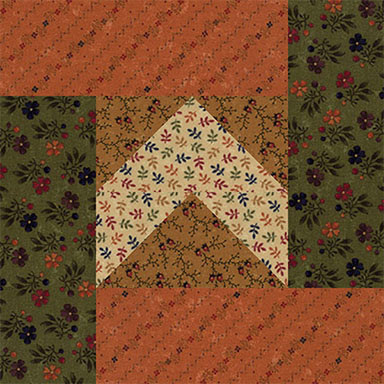 Find Jo's instructions for Duck and Ducklings on her blog HERE. Thanks for a great block. 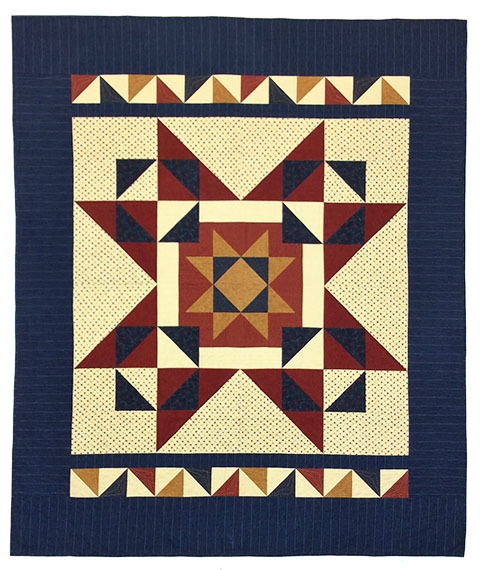 I made the block in two colorways again - KT classic and red/tan/navy. It's so hard to choose just one! It's been fun seeing what all the Blockhead II designers are doing each week. 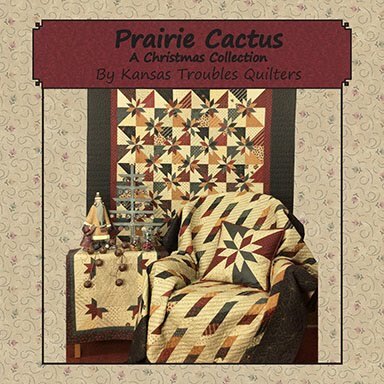 Have you found your favorite? I'll see you on Facebook. The new Country Road Flannels are here and we're so excited to share them with you. 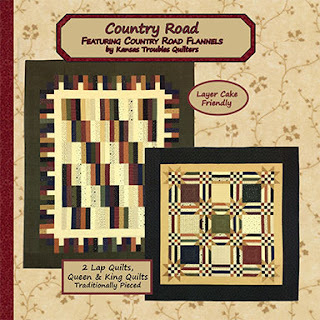 For July, we featured the Country Road Flannel Layer Cake and booklet to make your choice of two different projects - Rambling Road or Crossroads. 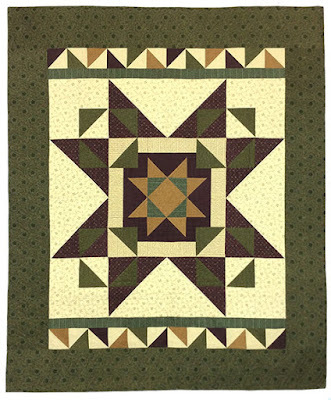 Simple piecing + soft, cuddly flannel = the gift everyone wants for Christmas this year. 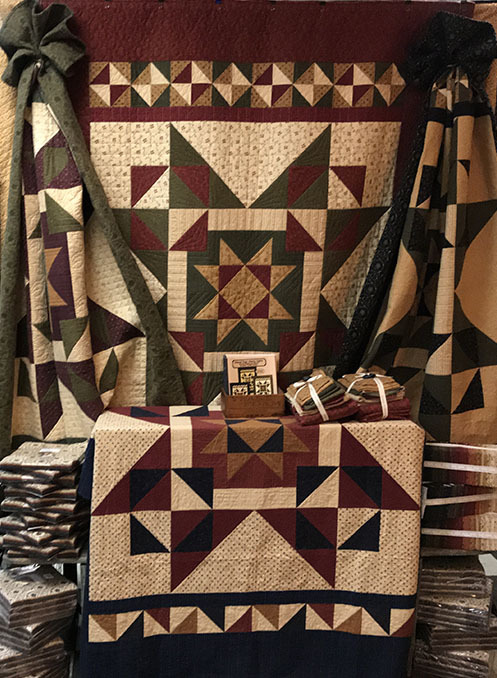 It's not too late to order your flannel kit for either of these quilts in time for holiday gift giving. 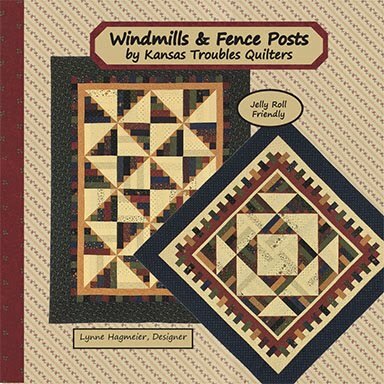 Joy quilted the Summer Evening flannel lap quilt without batting - just flannel backing - for a lightweight, super cuddly quilt perfect for those summer nights on the porch with just a hint of a cool breeze. My grankids love the feel and weight of my flannel quilts with no batting. 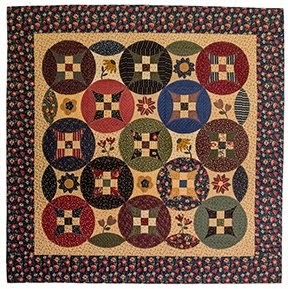 Our KT Country Road 108" wide flannel backing is due to arrive in September, just in time to finish your flannel quilts. 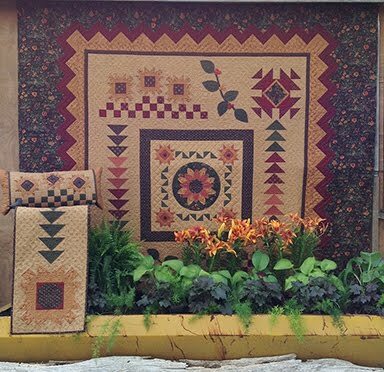 Summer Evening flannel lap kit + booklet = $75 with FREE SHIPPING. 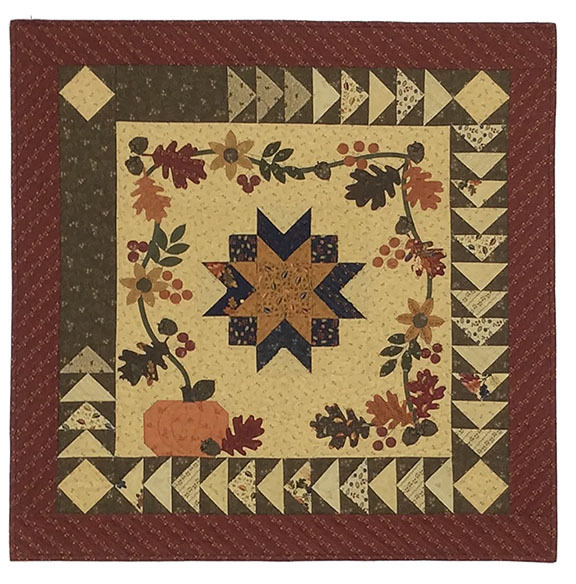 Autumn Days features a quarter square border in fall tones that have me wishing for bonfires, football games and crunching leaves. 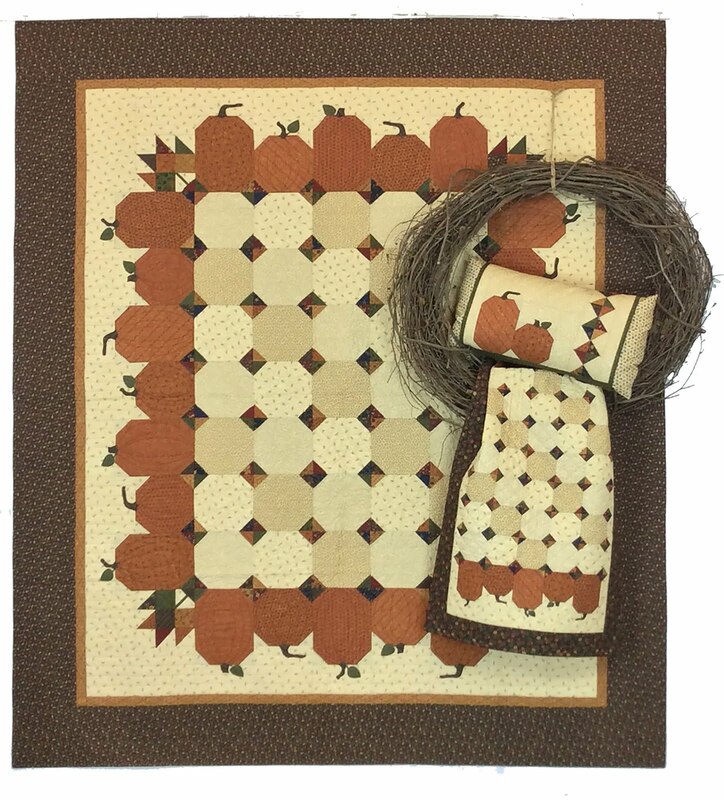 Autumn Days flannel kit + booklet = $80 with FREE SHIPPING. Christmas Eve utilizes the reds, greens and tans in the Country Road Flannel collection for a quilt you can curl up with long after the holidays are gone. 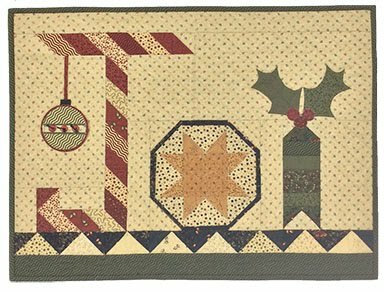 Christmas Eve flannel kit + booklet = $85 with FREE SHIPPING. Winter Nights' frosty blues and tans are the perfect counterbalance to snowy winter days. 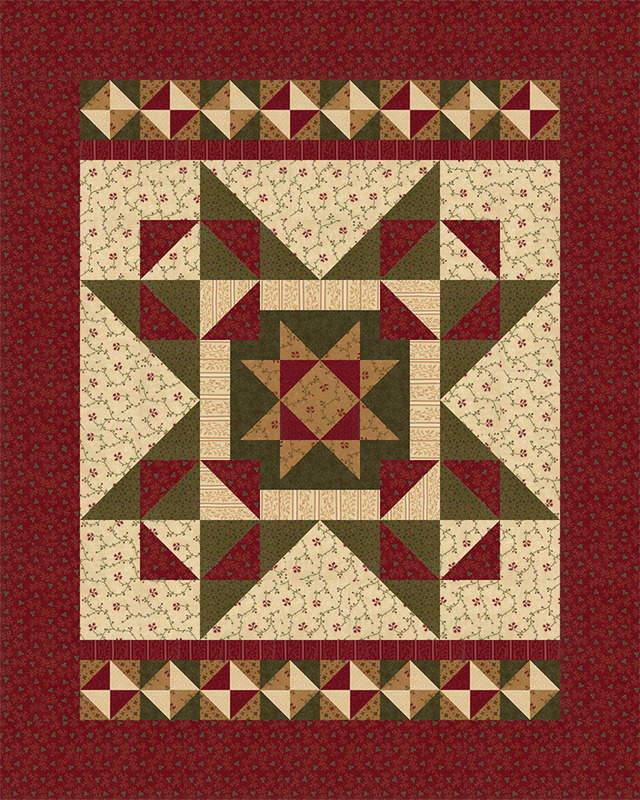 We added flannel backing instead of batting for a heavier weight quilt that's still really soft and drapeable. Don't forget, we have Country Road 108" wide backing coming soon! Winter Nights flannel kit + booklet = $80 with FREE SHIPPING. 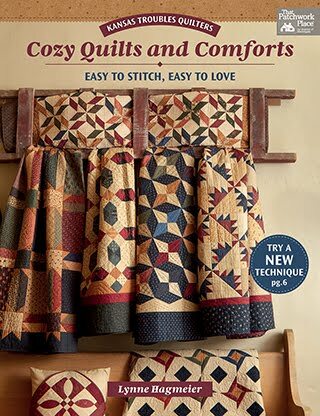 Chilly Spring Mornings beg for a warm, huggable quilt to wrap up in your favorite chair. Your first cup of coffee or tea will taste even sweeter. 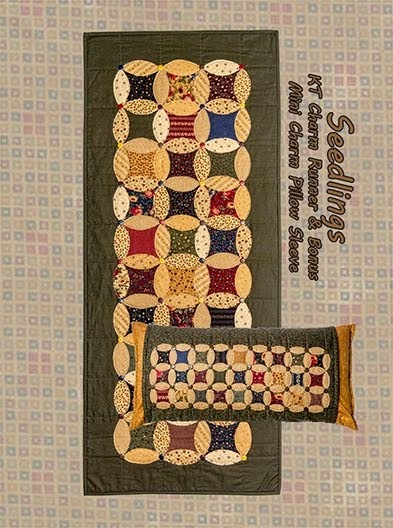 Spring Morning flannel kit + booklet = $75 with FREE SHIPPING. 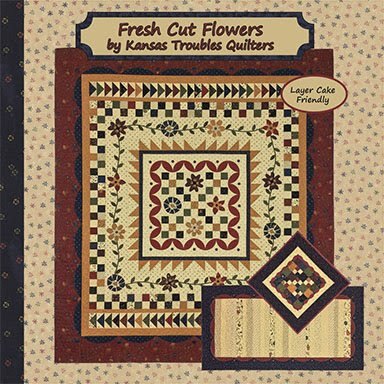 Don't miss our KT August Special featuring Country Road Flannels and the Flannel Days, Starry Nights quilt kits and booklet. Comment here to win a Flannel Days, Starry Nights booklet and box of flannel scraps to add to your stash. 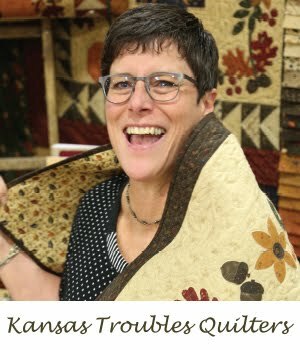 Welcome to Laurie! 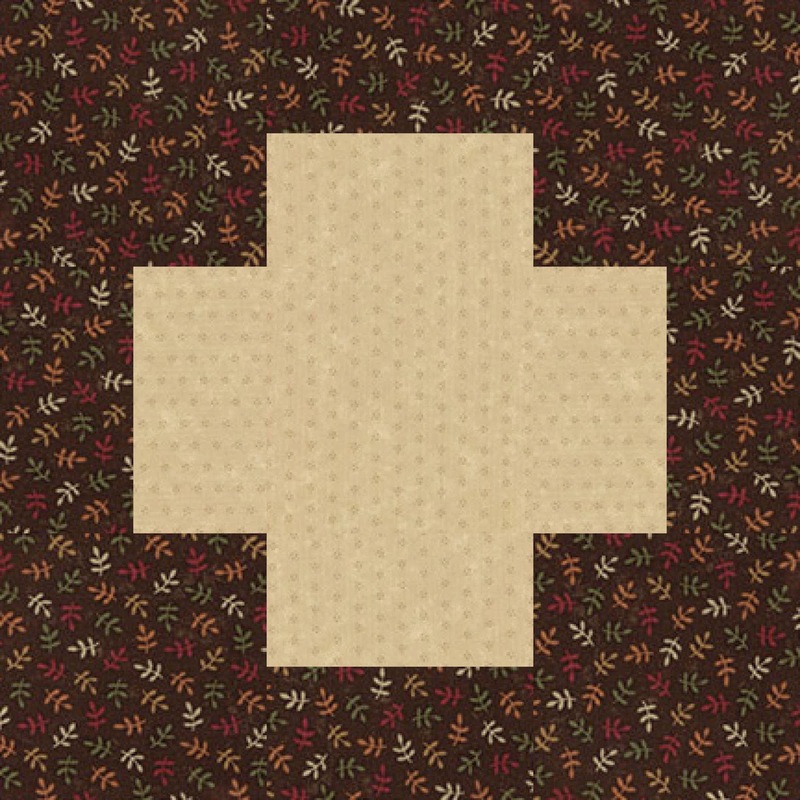 She's one of the new additions to Blockheads II. We're delighted to have her perspective this time around. Although her With a Plus block is simply pieced, I can see it as a scrappy charm quilt - half light/half dark blocks. I have a teen grandson who would love it. It's on my to-do list. 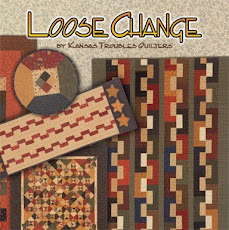 Find Laurie's With a Plus pattern for HERE.